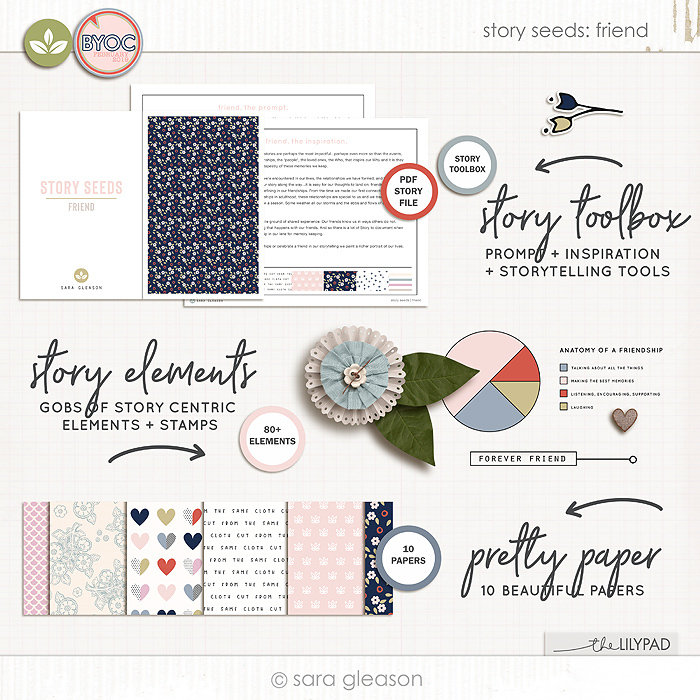 Story Seeds is an ongoing series of story centric memory keeping collections featuring carefully crafted paper and element designs with roots planted in a specific story prompt and theme. Together the story prompt and design collection act as a kind of Story Toolbox designed to help you tell a single story thorougly and thoughtfully in your favorite storytelling medium. The Story Seeds: Friend collection inspired by the always-in-your-corner friends, the forever friends...the pals and confidants. Story Seeds: Friend is laden with inspirational lexicon and story centric elements. sentiments/concepts include: "a good story", "a pal and a confidant", "we go together like ______+______", "we make the best memories", "better together", "we were together. I forget the rest. ", "we'll be Friends Forever, won't we, Pooh?" asked Piglet. 'Even longer', Pooh answered. ", "anatomy of a friendship"
All products are created at 300 DPI for optimal printing quality. Please see my TOU for full terms. I hope you have fun scrapping your own stories with the Erit cards! All products are created at 300 DPI for optimal printing quality. Please see my TOU for full terms. I hope you have fun scrapping your own stories with the Story Seeds: Friend collection! 2 staples and stitches included, too! 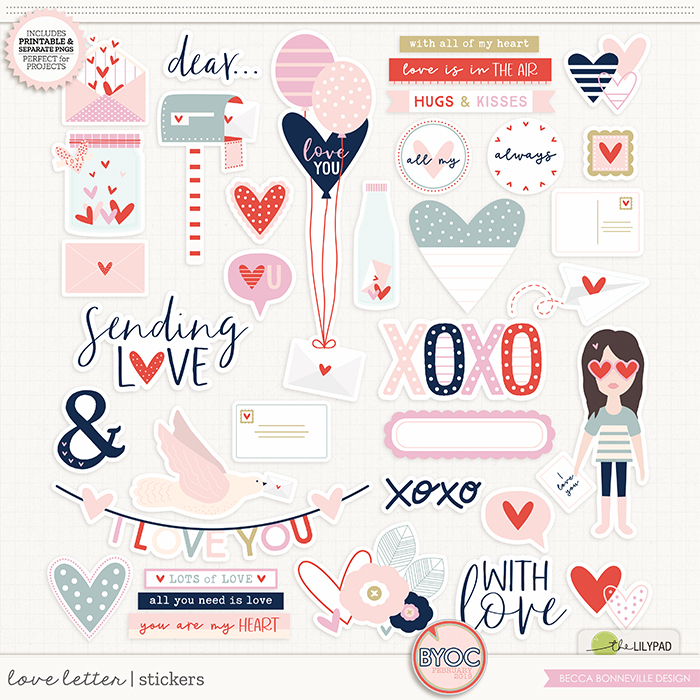 Love Letter Cards is a digital scrapbook pocket card pack filled with beautiful colors and fun illustrations. The cards are perfect for just about any project with its versatile colors and patterns. 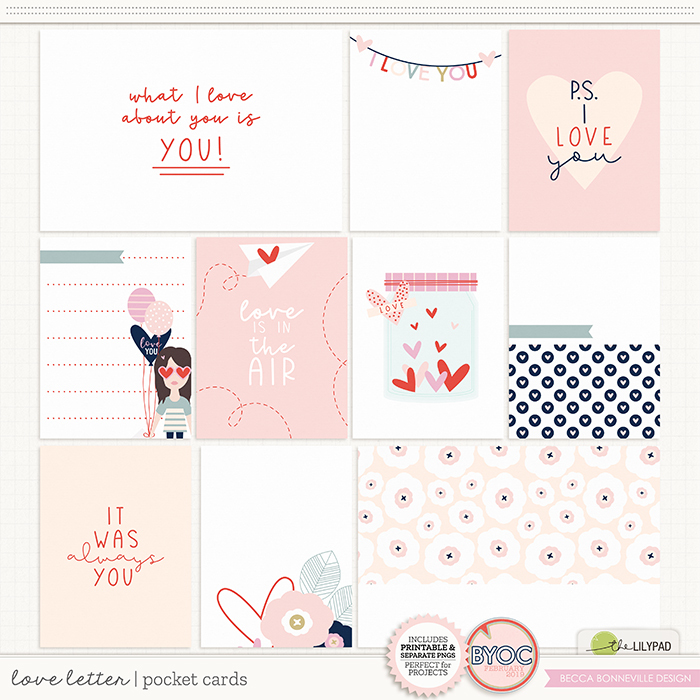 This card pack coordinates perfectly with the Love Letter collection and the February 2019 BYOC collection. A celebration of all the fun things that come in the mail – from letters to packages, it's all Happy Mail! Designed to coordinate with my Happy Mail Papers and the rest of the February 2019 BYOC. Items shown in preview at 70-100% relative to 12x12 canvas. No drop shadows. Created with love at 300ppi. Happy Mail Papers includes 13 unique patterns + 18 alternates and 11 beautifully textured solids. 42 papers in all! Designed to coordinate with my Happy Mail Elements and the rest of the February 2019 BYOC. No drop shadows. Created with love at 300ppi. 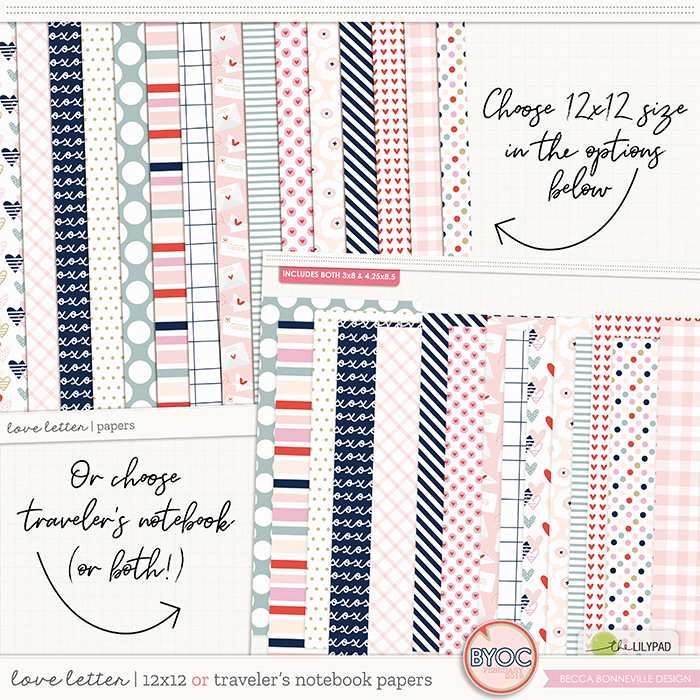 Make Art and Journal are a series of Art Journaling Products by Rachel Jefferies. 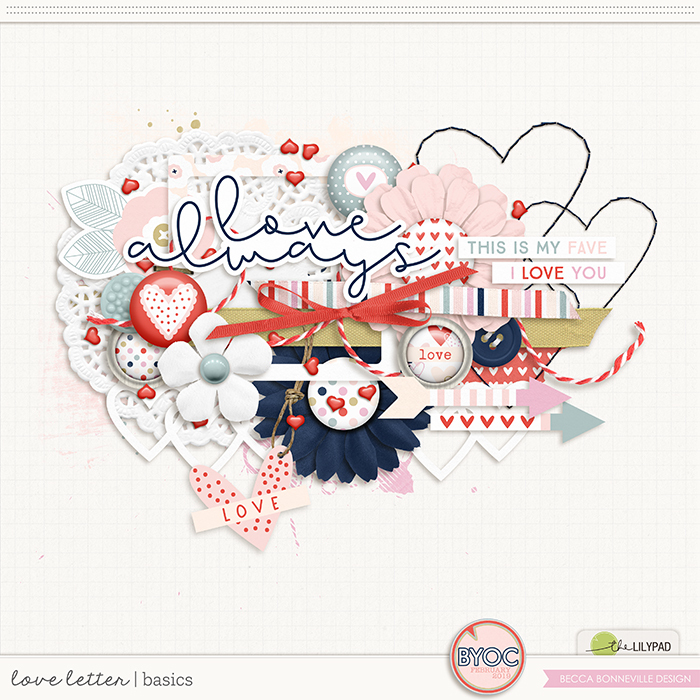 If you're looking for a non traditional love themed Kit this will be of interest to you. This artful collection will enable you to visually express not just sweet love but love lost or love that was never found and relationships in general. This bundle also coordinates with the February 2019 BYOC. This element pack includes 79 unique pieces. It's Jam packed with my signature mark making and lots of other hand made items including paint, doodles, sketches and more! Abundant with handmade art and lots of journaling prompts it inspires and encourages you to do just what the title suggests, make art and journal. Express your worries, your victories, your hopes and dreams and everything in-between. This pack includes five 12x12" coloured hand painted papers, rich in layers of acrylic paint and my signature style mark making. This pack includes five bespoke 12 inch papers. These papers were hand crafted in my studio with gesso, watercolour and paper confetti pieces. Included is a background paper, a few elements and lots of mark making along with a photo spot. It's a fast way to make a fun artsy scrapbooking layout or art journal page! Sometimes you don't need a full sized kit to focus on the little stories of the day! This fun playset designed to give you all you need to tell the story at a mini-price! Inside you'll find the TRUE COLORS paper pack with 20 patterned papers and 5 bonus solids for a total of 25 papers! You'll also unpack a collection of just enough pretties including: 2 bows, 2 butterflies, 2 peacocks, a feather charm, a crown doodle, 3 felt board sayings, 4 flowers, a paper frame, 4 labels, a leaf, a notions card, 2 pretty ladies, 4 paper and foil rose cut outs, 3 spool toppers, a staple, 2 curls of string, 7 dymo tape word strips (colored 2 ways) 2 wraps of thread, 2 bits of colored tulle, and 5 pieces of Word Art. *not all items are shown in preview. This item coordinate with the other February 2019 BYOC products! Drop shadows for illustration only. This digital kit has been saved as .png files at 300 dpi. Not all items shown. Personal Use Only please. This kit is compound by these two packs from February '19 BYOC, sold separately: "What is love - mixed media & other stuff" + "What is love - artsy papers"
Please make sure you do not repurchase them. Thank you and happy scrapping!